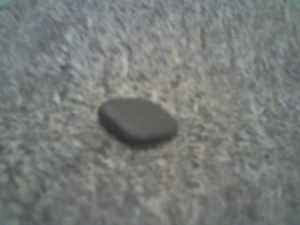 This free rock has also been called the lucky rock, magic rock, your rock and the good rock. It brings something to you. i want to part with it. Give it to someone you love or love to hate. This magic rock has no expiration date and will last a very long time. It weighs only onces and can fit in your shirt pocket. Put this good rock to good use for yourself or a friend. Hey! It's the lucky rock. This handsome rock is available only in black. Magic Rock is made from nothing but natural things. The Lucky Rock can be yours. Your gonna love this rock. Better than the Slap-Chop, it's magic rock. It is priceless.